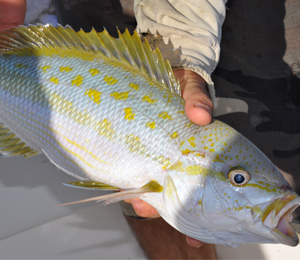 The yellow tail snapper is one of the easiest fish aroundKey Westto identify. 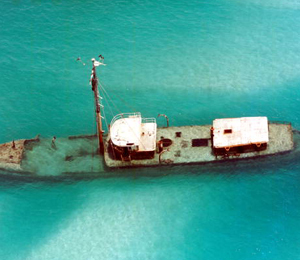 When you fish Key West or snorkel there, watch for an oblong, olive to bluish-black fish (they appear silver with a photo flash but don't always look that way in natural light) with a bright yellow stripe along the side, and yellow spots on the upper back. 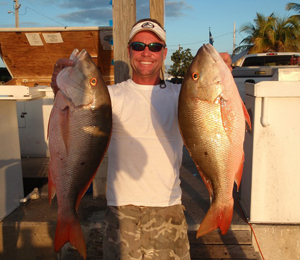 Themutton snapper(Lutjanus analis) makes for excellent food and fun when fishing Key West. 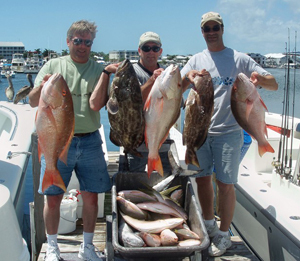 The snapper puts up a great fight, so it’s a challenge many anglers enjoy.Snapperslive along the East Coast and in the Bahamas, but Key West boasts many of the largest snappers, including the heaviest caught—at 30 pounds and four ounces. 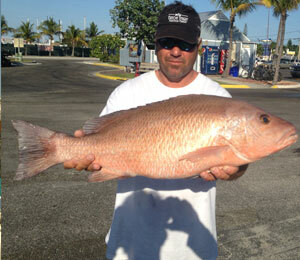 The mangrove snapper is a fun fish to go after. It is wary, keen eyed, and possesses a sharp sense of smell. 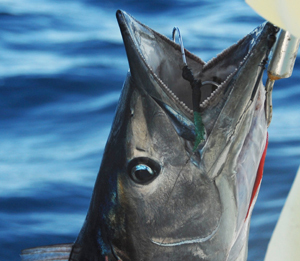 It offers quite a fight for such a small fish, but when it is landed, it yields excellent, sweet, firm, flaky white meat.